Engaging with Edulastic as a teacher puts me in the shoes of my scholars, and empowers me as an educator to meet their needs with an app that has the innovation and capabilities that allow for versatility and creativity; mostly, to interact with all types of literature. Whether my students know more and can perform on tests administered digitally means that I “excel” as a teacher. Though we know the scores don’t make the teacher, we also know that we must do all we can to prepare our students and faculties for the stamina and rigor demanded on tests that determine many important aspects of student life in school. The dynamic puts particular pressure on teachers like me to be able to translate that same digital assessment environment to my students in class. In order to succeed on state exams, students of all ability levels, learning styles, and learning differences require access to practice materials that allow for differentiation. Students need apps; digital assessment platforms that give teachers and students options and accessibility to regular, rigorous practice of state testing content and protocols. Ohio, like many other states, requires annual standardized testing of students’ English Language Arts writing performance skills, as well as proficiency in Common Core ELA Standards by grade level. An individual student’s ability to answer questions in a digital environment is tested yearly via an EOY (End of Year) course exam. Sadly, for teachers, (despite the long hours at school, talent; dedication that goes into this profession,) it is common place for districts to use student scores on these high-stakes tests, in part, to test our abilities as educators to teach our students. Another trending data point that drives curriculum shifts and tweaks in teacher plans are student scores on school endorsed vendor assessments that measure growth in detailed standards-based reports that show averages of gains and losses regarding students and their academic growth in math; English Language Arts, at various points during the year (beginning, middle, and near the end). Edulastic, has been one of the most useful digital tools I have utilized in my career in regards to state test preparation in a digital age. My favorite part about Edulastic: building, tweaking, modifying, and analyzing passage-based assessments. 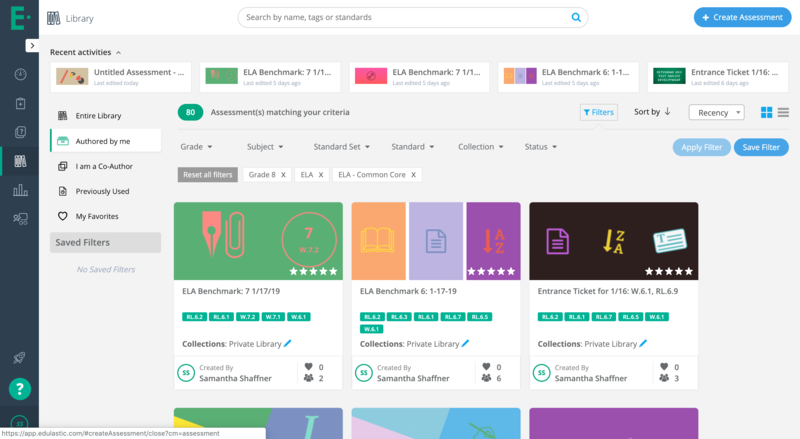 In this blog post, I will focus on the tools Edulastic provides teachers to create and vet content to create rigorous and differentiated ELA assessments that prepare students directly for state required testing, as well as district level “benchmark” standards tests. Edulastic is not an island unto itself, though. 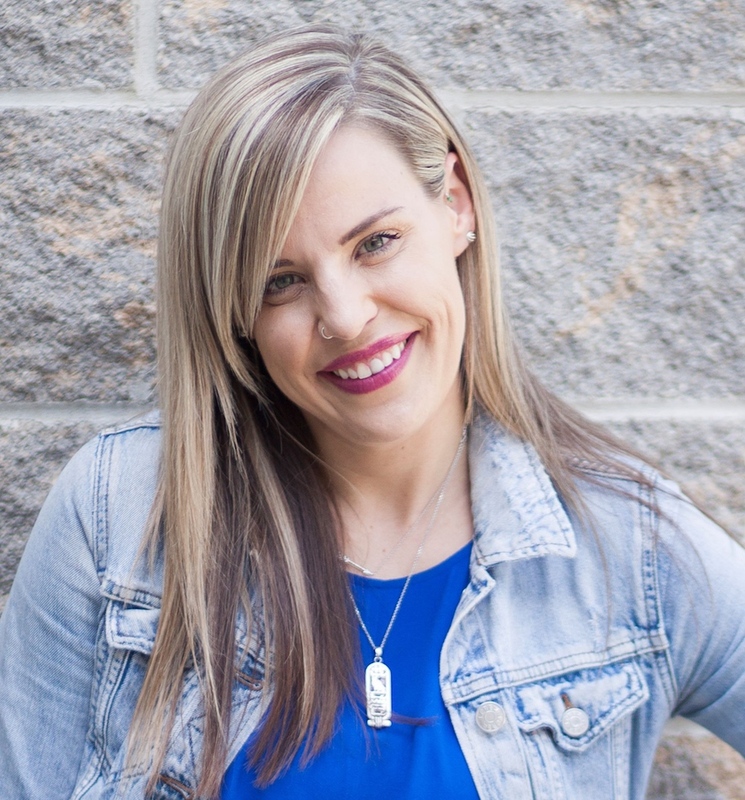 Numerous resources and tools exist for teachers to incorporate material into the classroom and in Edulastic itself for students using laptops or Chromebooks, which will be highlighted in this post. But to start, here few ways I bring that content into my classroom using the tools I have available. 1.) Create your own questions and assessments from the ground up. 2.) 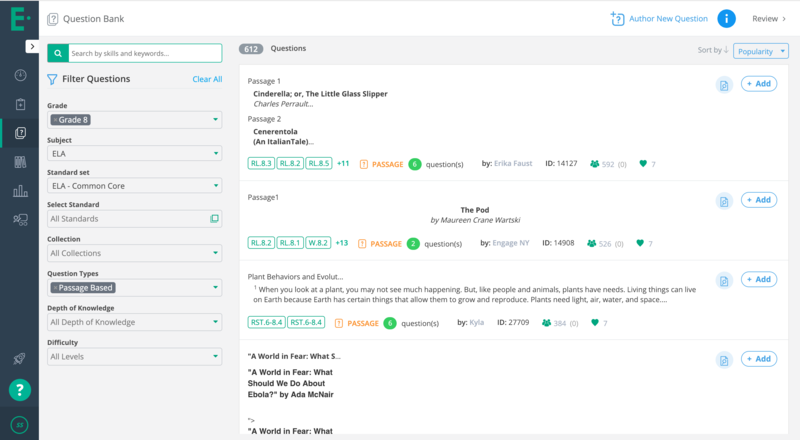 Select pre-made questions and assessments from other teachers by filtering search results by subject, grade level, standard, question type, etc. 3.) Modify an existing assessment or question set to tailor it to meet your needs. Some busy teachers may jump at the already created assessments that are easy to filter and find in the assessment library. However, creating my own assessments is the only way I know to fully differentiate and individualize my lesson plans. 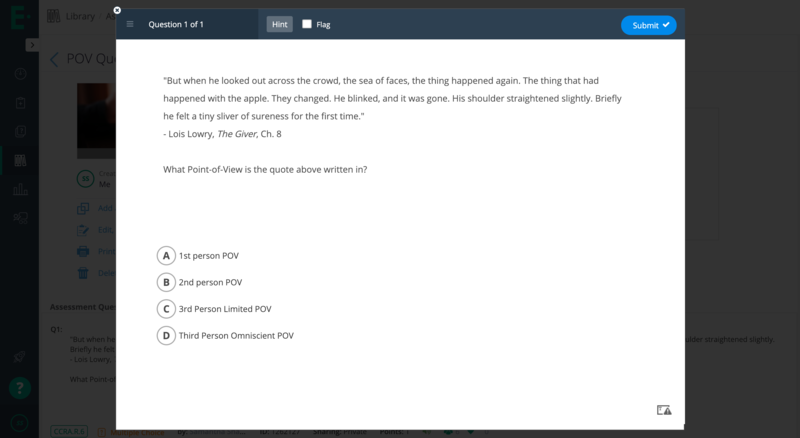 Edulastic lets me create assessments from any text as a passage from which students are to read and respond to questions. I regularly pull chapters from the novel my students are studying to test their understanding of the plot, characters, setting, vocabulary, themes, and ideas just like they would appear on standardized testing, except not so standardized. It’s also fun to use portions of culturally relevant text that I curate to be age appropriate for passage-based assessments. 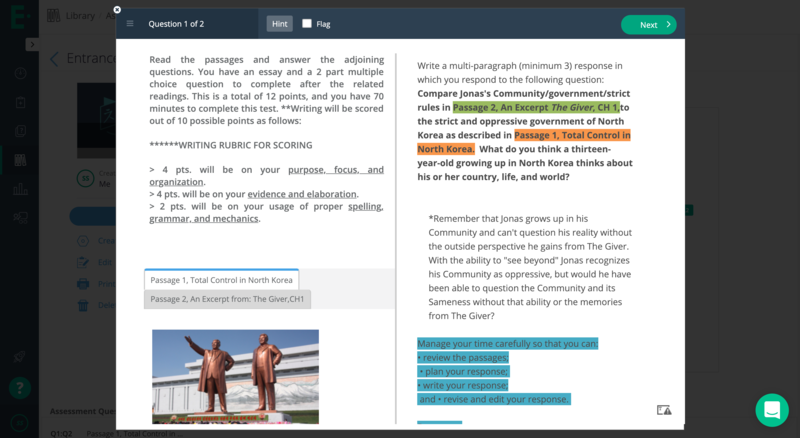 Whether about Malcolm X or North Korea, or the president, or whatever inspires student engagement on a daily basis, targeted passage-based assessments can encourage students to engage with the material and think critically. 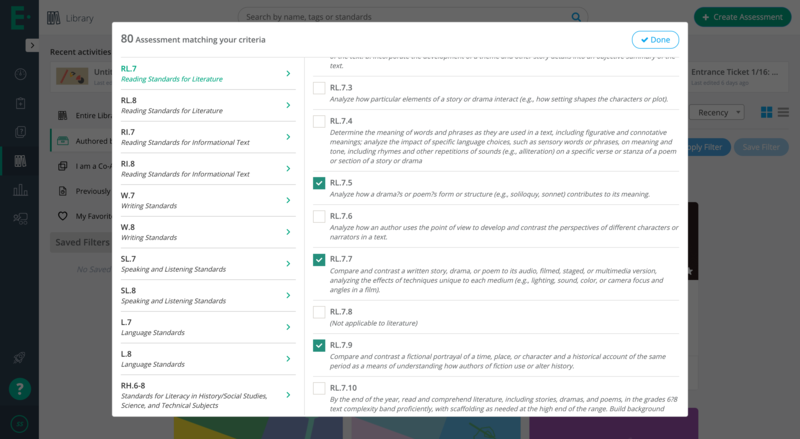 Building your own passage-based assessments on Edulastic is also a way to incorporate your own curriculum and literature choices into your assessments. 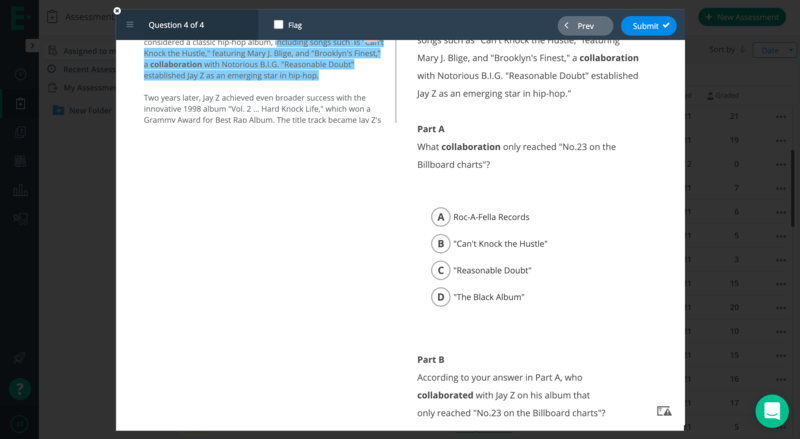 Choose passages from apps like NewsELA.com , CommonLit, and ReadWorks.org that contain questions you can modify and edit or use as a reference to write your own questions. During a novel study, copy and paste parts of chapters for close reading activities and compare/contrast writing assignments. 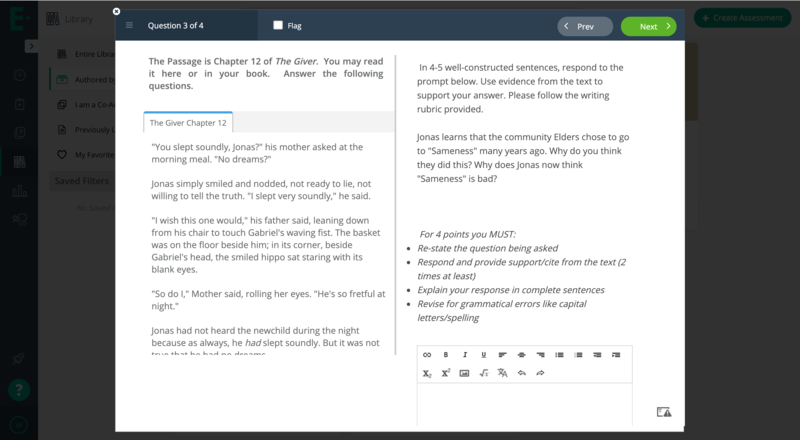 Paired text assignments that align with those being taught in successful schools across the map can be easily integrated into a Passage-Based assessment on Edulastic. Using this platform that allows you to use these cutting edge common core heavy tools while at the same time retrieving the student data needed to move and pace through curriculum from day to day. 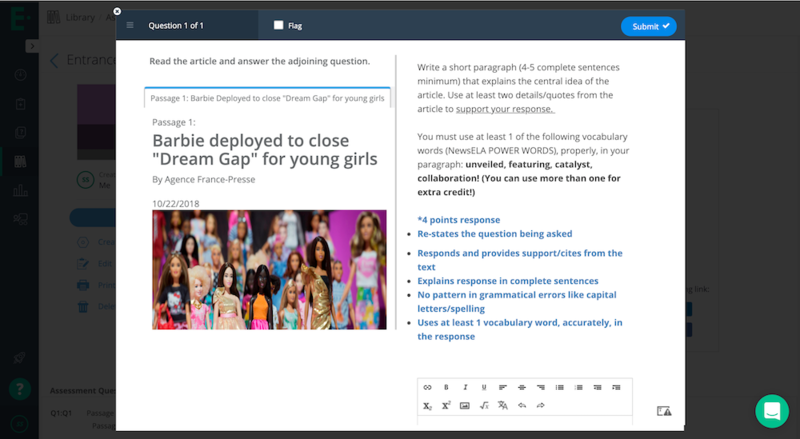 With NewsELA specifically, I can modify a text’s lexile level and what is expected of individual students with IEPs to differentiate and personalize each digital assessment I give my students. Then, by linking to the prepared text in an Edulastic assessment, I can create questions that measure my students’ performance in relation to their peers and own past performance. Combined with Edulastic’s data tracking, I can easily see trends in each of my students’ growth to mastery of the State’s Common Core learning targets in reading and writing which also translate to performance on the State’s required digital assessments. NewsELA reading options, filters, standards, etc. NewsELA article, graphic, and inspiration! There is no one assessment that rules them all. Editing, revising, and creating new “versions” of the same assessment allows teachers to differentiate to meet the needs of the teacher, student, learning environment, and lesson pacing (which is something we would all love to have control over, but never completely will). It is important for assessments to require the same amount of skill, stamina, critical thinking, and consistency that state test items themselves do. 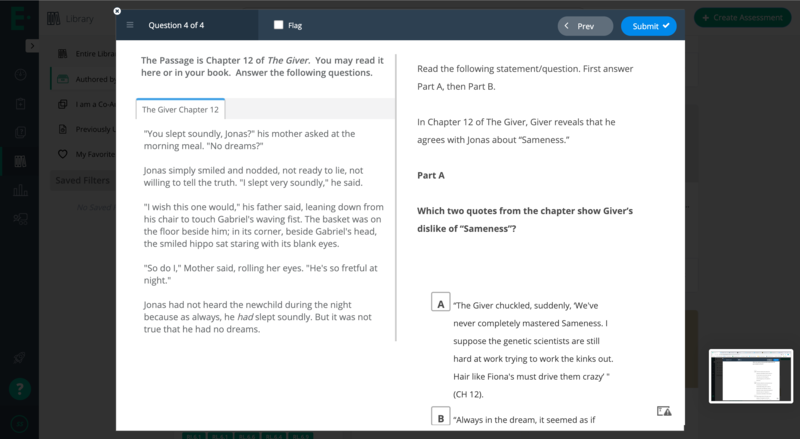 In best practice, one would adapt this to their already created curriculum by plugging reading comprehension items into test questions that read with the same language, and use the same computer functionalities that the state tests do. In Ohio, the use of the multi-part question is heavy, and it typically pertains to main idea and aligned support from the text in a multi-part, multiple choice and multiple selection format. All that being said, a great resource for teachers is the question bank itself. 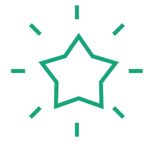 The Edulastic question bank contains state released test and practice items that prepare students for state EOY tests required for graduation and promotion in grade level for students in grades 3-11. Curriculum highly endorsed by the Common Core like Engage NY is also included within Edulastic’s wide array of resources available to teachers within both the assessment bank and individual question bank, both of which you can filter by grade, subject, standard, question type, depth of knowledge, and skill/strategy. PARCC; Smarter Balanced (SBAC); AIR; FSA Assessments; PSSA; MAAP; NC EOG; STAAR Test; ACT Aspire; TCAP/TNReady; ISTEP; AzMERIT; MCAS; GMAS; LEAP; and Ohio AIR/OST. You can access the state released items and practice assessments here. It is important for assessments to require the same amount of skill, stamina, and consistency that state test items themselves do. 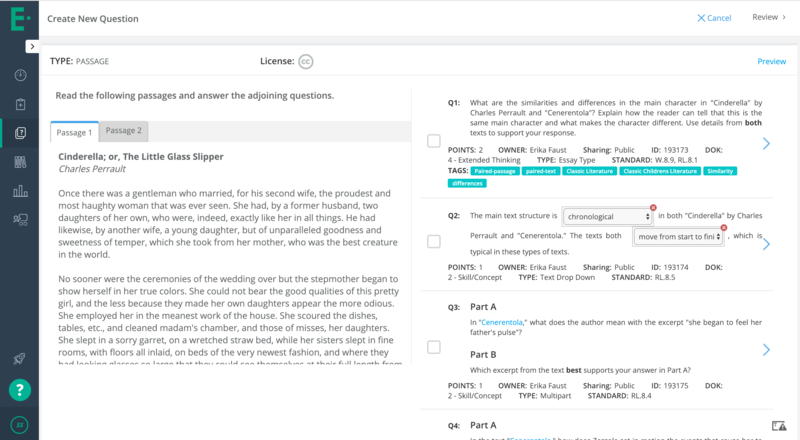 In best practice, one would adapt this to their already created curriculum by plugging reading comprehension items into test questions that read with the same language, and use the same computer functionalities that the state tests do. In Ohio, the use of the multi-part question is heavy, and it typically pertains to main idea and aligned support from the text in a multi-part, multiple choice and multiple selection format. When creating these tests, it is important to pay attention to copyright information, as well as make sure that you as the teacher and model, proofread your own work, and preview it before assigning it to your students. Less savy teachers are encouraged to begin with assessments that are already created, and filtered by standard and grade level, subject, etc. Creating assessments using these tools is very empowering, and does take some time to learn proficiently. Practicing this by writing one question a day for an exit ticket or formative check is a good way to begin to build these skills as a teacher. I did as much and it helped me learn the scope of what was possible in Edulastic hands-on. 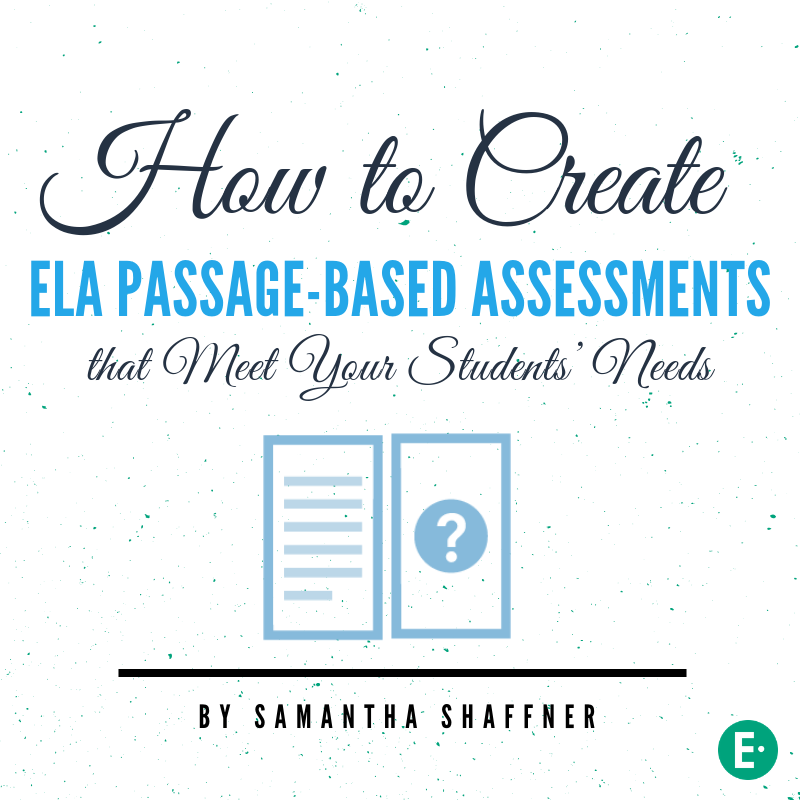 Start creating your own passage-based assessments. Log in or sign up for a free Edulastic teacher account today.